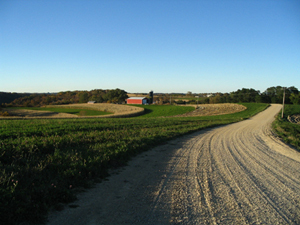 The Voices of Rural Wisconsin project is a partnership between Portal Wisconsin and the Wisconsin Academy of Sciences, Arts and Letters. Working together, we hope to share the stories, thoughts and histories of the state's rural population. This expanding collection of authentic and authoritative voices, collected by writer and reporter Bill Berry, represents a rich cross-section of Wisconsinites who work, love and live for the land. We hope you will utilize this resource as a means to connect with and better understand Wisconsin's rural citizens. Visit this Web site often, as we will post new voices to the audio archive on a regular basis. The Wisconsin Academy of Sciences, Arts and Letters connects people and ideas for a better Wisconsin. Since 1870, the Wisconsin Academy has provided a place where people who care about culture, nature and the challenges of our times can gather for fruitful discourse and meaningful action. Wisconsin Academy programs include the James Watrous Gallery at the Overture Center for the Arts, a gallery by and for Wisconsin artists; Wisconsin People & Ideas, our quarterly magazine about Wisconsin thought and culture; Academy Evenings, our statewide series of public forums; and the Wisconsin Idea, a public policy program --the most recent of which focuses on "The Future of Farming and Rural Life in Wisconsin." For more information on our programs and events, or to become a member of the Wisconsin Academy, visit http://www.wisconsinacademy.org.